Scroll down. Lots of new news. More Organization Splits & More . . . Representation of Nishiyama Karate in the United States. for those wanting to promote the Art and not a specific person or organization. Building a strong team for the future! 5 Stars, 1,284 likes and growing . . .
You have trained with sensei. You have trained with someone who has trained with sensei. You have trained with someone that has trained with someone who has trained sensei. You have read his books and or videos. You have not broken his rules or have gone against his constitution. If you have been part of undermining what sensei has built then you haven't even the right to say that your Karate is influenced by Nishiyama sensei. . . because you have demonstrated that you just don't understand. How could you be "Honoring Nishiyama sensei" if you are a "central figure" in undermining EVERYTHING he has spent his whole life building? If Karate does make in the 2020 Olympics keep in mind that there is a 98% likelyhood that it will be dropped after that. That it will most likely not be a permanet sport. So then is all this trouble really worth it for this one time shot? 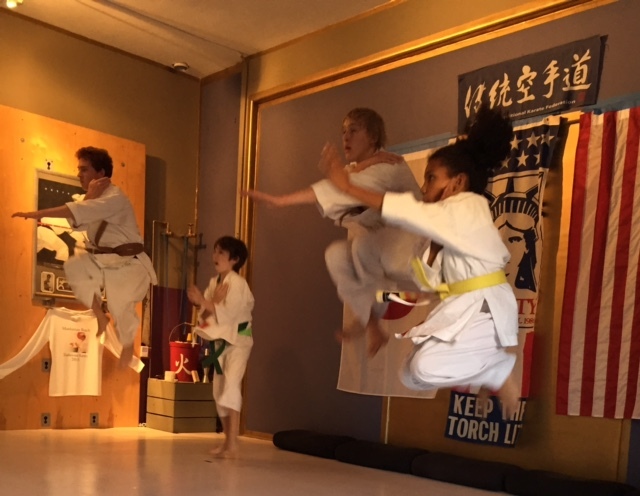 The focus should be on Traditional Karate building it's own ultimate event like soccor and their "World Cup". Was an organization started by Nishiyama sensei in 1961. It was the represenative of JKA/ Shotokan Traditional Karate in the United States. The foundation of the AAKF was built on the principles of the highest level of budo. Upon his passing in 2008 the organization has been taken over. The organization is now built on the foundation of licentiousness. Since it's take over it has become clearer and clearer that not only after the passing of Nishiyama sensei but even before, maybe even way before that there was a secret group, sect, cult of individuals that were schemimg the take over. It seems that 85% of the major adult players (athletes, judges, instructors & directors) left in the organization were part of the take over. One can only think to suspect that this secret sect, which is the driving force of the present AAKF in their loyality to each other have been bias towards each other in gradings and competitions. One can't help to suspect that not only was this group favoring eachother in this secret society since 2008 but that this favoritism must have gone on for years prior to the passing of Nishiyama sensei. One can not help to question the competition results of the past 10 to 15 years as judging and refereeing was made up of a large portion of the sect. I can now understand the comments sensei would make the following Monday at Central Dojo about the weekend's competion. In my years of involvement in classes, seminars and competitions the mysteries that presented themselves now become solved. The things I saw, the things I heard the results that were so confusing to me now become crystal clear. This secret sect planning, scheming and make private deals to elevate themselves through licentious actions. Since this group eliminated good people and elevated themselves at the expense of these good people, all that is left is themselves. Since they are lead by licentious principles they will continue to act based on this principle and since there are no others to sacrifice they will now feed of the few left. You will see those with the greatest conscience slowly make the move to leave. The AAKF has been expelled by the ITKF due to their licentious actions. The AAKF for the past 6 years is under new management. It has new owners. It in no way resembles the organization ran by Nishiyama sensei. You gotta ask yourself "why have are so many good (great) people no longer a part of the AAKF". 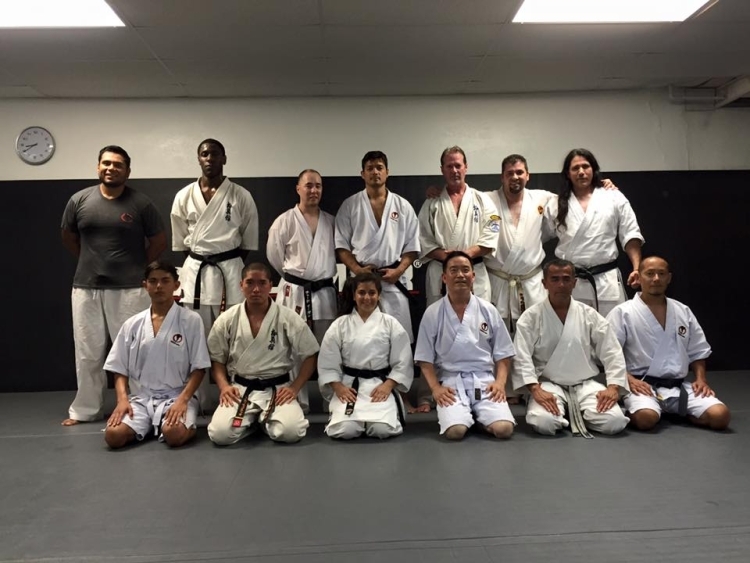 Students, athletes, judges and instructors who help build Nishiyama sensei's organization. Good (great) people that that were loyal to him for 10, 20, 30 & 40 years plus. They were pushed out, squeezed out, kicked out. The few good ones left, left out of digust of what was happening. The very few good ones left stay for reasons I can not understand. How those in the organization basiclly stepped on & over good (great) people in order to steal an inheritance that was left to everyone. There seems to be yet another secret sect realigning it's self. Made up of the same players, some new ones, some olds ones hidden from view, but all the same %#@* just repackaged. Don't get snookered. There is also a group of old time seniors (most of which have been NOT active in Nishiyama sensei's organization for quite awhile and or at the most minimum) that are organized but very quiet. Is the new U.S. representative of the ITKF. As being a newely established group organized out of kaos it will take time for this organization to root and grow. Hopefully the good people that were driven out of the AAKF, left out of disgust will come together to rebuild and reorganize, to bring back the ideals and principles that Nishiyama sensei wanted to pass on. Is the international orgaization started by Nishiyama sensei. It is built on the foundation of the highest budo principles. The organization is governed by a constition designed by Nishiyam sensei. To date and to our knowledge the organization is following the rules and structure established by Nishiyama sensei. Lots of new news on UWK. Some can be verified and some can can not. Everything is evolving fast so that we don't want to put out incorrect information. We will label as verified, opinion or prediction. Be ready for major shake ups everywhere. You will see a lot of scrambling and shifting everywhere. Be prepared for re alignments, dropping offs, joining and re joining. People moved up and moved down and OUT! Where people felt secure will now find themselves out in the cold. Those that are on the correct path (or lucky) will weather the storm. Those on the incorrect path (or unlucky) will sink. What you are seeing is evolutuion. Must put energy where it is needed the most. Must continue to push forward. Sensei gave us the road map to the future. The map is available to everyone. Even those not even born yet. Take the map and move forward. There is no need to be dependent. Era of the Pioneer International Japanese Instructors (the Early Years). Era of the Pioneer International Japanese Instructors (the Later Years). New Era without the supervision of the pioneering Japanese Instructors. Future Japanese Instructors without direct connection to the Pioneers. The Era after the last. Will catalog and organize correct technique based on valid principles. This information will be available to all. Then it will be a matter of who studies them the BEST!